An apartment on Central Park has long commanded a premium, but as real estate prices have soared, blocking all but the most affluent from buying a perch there or along one of New York’s other premier greenswards, developers have increasingly sought out sites on smaller, non-marquee parks. 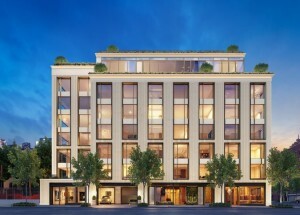 An address on Isham Park or Herbert Von King Park may not have quite the same ring as one on Prospect Park or Gramercy Park, but in a market where buyers can become dizzy trying to distinguish one marble-kitchened, white oak-floored condo from another, a view of treetops swaying outside the living room window is a distinctive edge. Even more significant, an apartment on even a pocket park comes with more light, air and open sky than an identical unit that faces another building — and a near-guarantee that no towering new development will take those advantages away. He said that he spent seven years assembling the site for 75 Kenmare, a seven-story condo under construction in NoLIta that will overlook DeSalvio playground. The project is being developed by DHA Capital, where Mr. Schuster worked previously. Another site, on Second Avenue and East 21st Street, is across the street from Peter’s Field, a blocklong stretch of basketball and tennis courts. And at 67 Livingston Street in Brooklyn Heights, where Silverback is converting a former college dorm into condos, one side of the building looks down on the schoolyard of the Packer Collegiate Institute, where on a recent afternoon children were jostling for control of a big red ball. While such parks may lack the splendor of Central or Prospect Parks, unsung green spaces can claim near-equivalent benefits: In addition to extra light and sky, many offer playgrounds, dog runs, farmers’ markets, a bench to read a book, or a lawn for a picnic. Which could have something to do with Robert Moses, the major builder last century of New York City infrastructure — and the fact that nearly all of Manhattan’s waterfront views have highways in them. But whatever the reason, living on even a small park does make a difference to buyers. And, ultimately, the apartment’s value. When it comes to pricing, however, expectations should be modest: According to Mr. Miller, apartments on Central Park are only about 10 to 15 percent more than those on a side street if they’re below the tree-line, and 15 to 25 percent more if they’re above. And any analysis of prices for park-facing units comes with a caveat: Developers are more likely to put the largest apartments where the best views are, and there’s also a premium for more contiguous space. Toni Martin, an associate broker with the Corcoran Group, said that anytime she has a listing on a park — be it Von King Park in Bedford-Stuyvesant, or Washington Park in Park Slope — it gets snapped up fast. Fort Greene Park is such a huge draw that she’s seen bidding wars for condos in townhouses half a block away. One of her clients lost a bidding war for a 950-square-foot two-bedroom in one such building. “It was a nice apartment, but nothing overwhelming. 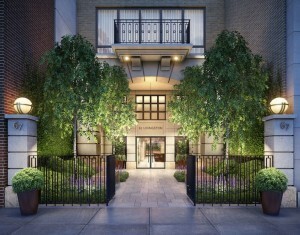 And it was a fourth-floor walk-up!” Ms. Martin said, adding that the place sold for $125,000 over the asking price. “In a city as dense as New York, to live next to something green is a beautiful thing,” she said. Of course, not all buyers come to tour a new condo with a strong desire to live on a small square or playground whose name they might not even know. Fred Duck, who works in marketing at Bloomberg, recently bought a one-bedroom at 1790 Third Avenue, a condo project across from Cherry Tree Park in East Harlem. The advantage is real enough that developers are keen to play up any nearby green space. 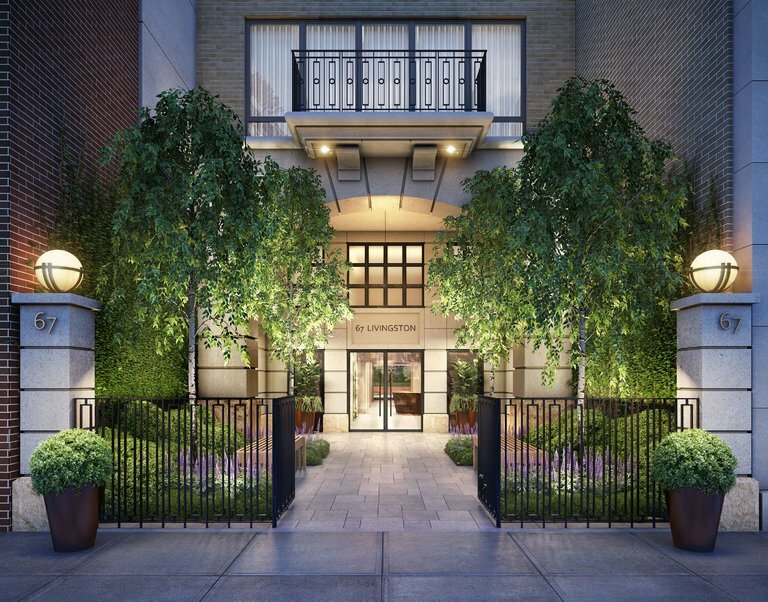 In Jersey City, Fields Development staked out a site by St. Peter’s Prep’s football field for its new luxury rental, Lenox, which will also have a courtyard open to the public. 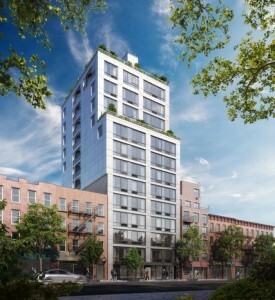 And in Williamsburg, Brooklyn, Brookland Capital is building condos at 850 Metropolitan Avenue, across the street from a small community garden in Orient Grove, a tiny .149-acre triangle park. While not all New Yorkers warm to the sound of children’s happy shouting, even the developers of new buildings with significant private outdoor amenities consider a small public park to be a significant boon. At Extell Development’s Brooklyn Point, a 68-story condo tower rising in Downtown Brooklyn, residents will have access to the highest rooftop pool in the Western Hemisphere, outdoor showers and a stargazing observatory. But Ari Alowan Goldstein, a senior vice president for development at the company, considers Willoughby Square, the one-acre park the city is building across the street as part of the Downtown Brooklyn Redevelopment Plan, to be on par with those perks.